A shiver goes through me when I see lambs walking across the meadows in the spring, because what the lambs do not know, but I know, is that many of them only have to live until Easter. In Easter, lambs and sheep suffer more than other animals for a few minutes of enjoyment of the human that we, the people, hypocritically call “Christian tradition”. At the same time in the Old Testament we read: “Thou shalt not kill.” – That obviously applies only to people, for the Catholic Church recognizes the soul only in people. Unfortunately, in Germany alone, up to 100,000 lambs are still killed, especially for the Easter holidays. 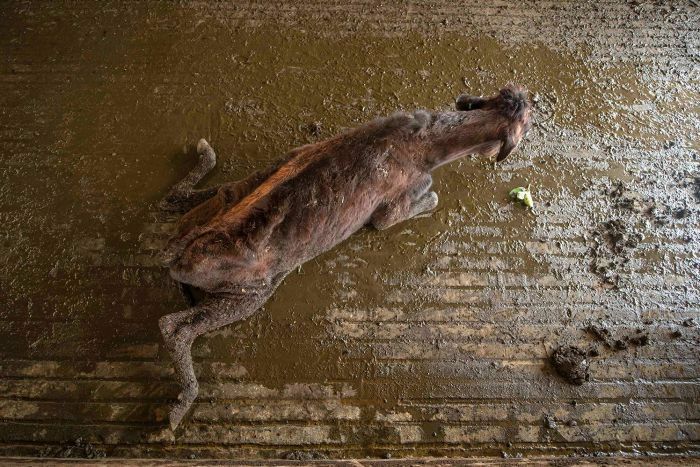 The animal children are snatched from their mothers and must suffer a brutal death in the slaughterhouse. Milk lambs are considered a delicacy. They have never taken anything other than breast milk, that they are slaughtered is particularly disgusting. The comparison with human babies seems macabre, but is obvious. Although the lamb embodies innocence, it lasts only a few weeks before being dragged away by his mother and sent to an often long and brutal transport to a slaughterhouse. The biggest hypocrisy in Easter is, that everywhere at this time with sweet chicks, lambs and rabbits are advertised, which joyously hoppeln over the meadow, are happy and above all alive. But still lambs and rabbits like to end up eaten as a roast on their plates for Easter. The worst thing is how lightly violence is used. While it does not seem to be “fun” for the slaughterers to torture the animals, the brutal practices are carried out with such indifference and routine violence as if such a brutal murder were perfectly normal for them. With the same naturalness, the butchers would slit a sack of potatoes!! That’s why we’re posting videos, and if someone said … “but we know that” … we’ll continue to post those videos. In the name of the animals and because we owe it to the Easter victims. Because, ALL people, whether good or evil, stupid or clever, atheistic or religious, Christians, Buddists, Islamists – all MUST be enlightened in the interests of the cause. Because religion, often in the guise of tradition, is largely responsible for the misery of animals and a centuries-long education of the people to slavery, the use and the brutal murder of animals. Every religion! Mark, we bring you the sad news that today, we’ve learned of the latest in a long line of repeated failures by the live export industry. Once again, live exporters have proven they cannot be trusted to protect Australian animals overseas. An ABC investigation has today revealed horrific footage of starving, sick, dead and dying dairy cattle exported to Sri Lanka. 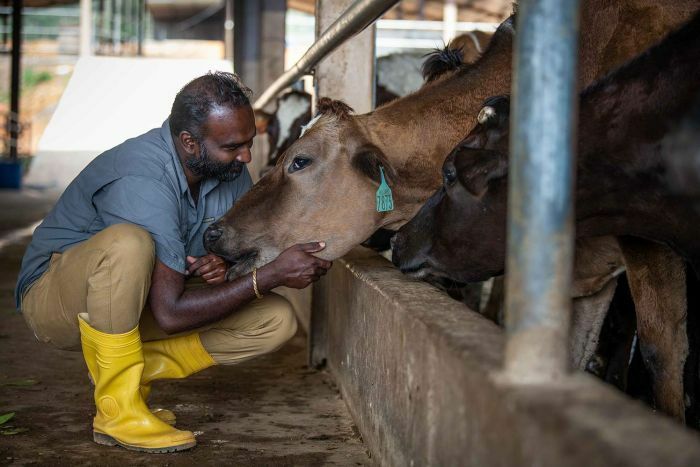 These cows were exported under the promise of good health and long lives as breeding stock for Sri Lankan farmers. Instead, local farmers have been devastated to receive cattle unprepared for the local climate, susceptible to disease, with many facing terrible suffering and a slow, painful death. The live export industry has failed these animals, failed Australian and Sri Lankan farmers, and failed the Australian community once again. Right now, breeding and production animals are not covered by the existing ‘ESCAS’ Australian regulatory scheme for live export supply chains. This needs to change, now. No one is protecting Australian dairy cattle from this cruelty, and it’s not good enough. Urgent action must be taken to prevent more needless suffering. These are Australia’s #ForgottenAnimals, and they need our protection now more than ever. Join us in calling for an immediate halt to the exports to Sri Lanka, and an urgent review of the Exporter Supply Chain Assurance System (ESCAS) to include dairy and breeder animals. 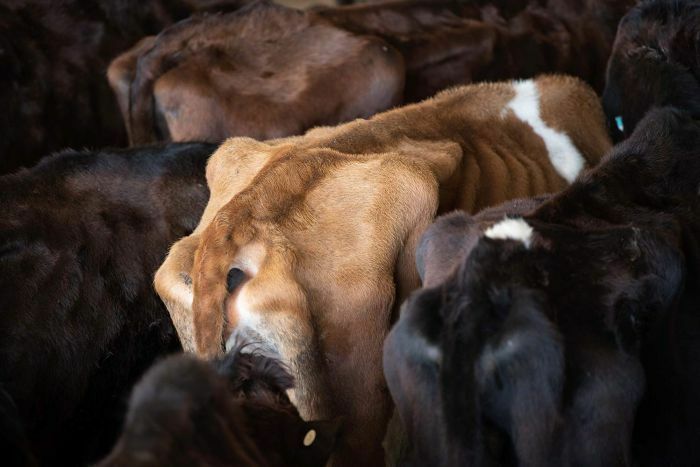 BREAKING NEWS – The ABC has revealed horrifying images and footage of sick, dying and dead dairy cattle and calves, that had been live exported to Sri Lanka for use in breeding and production.